The wait is over. 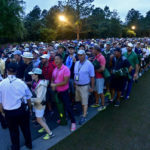 Augusta National Golf Club once again opened its gates Monday as the festivities for the 2019 Masters are officially underway. The practice rounds are fun for all and Wednesday’s Par 3 contest is an annual highlight. 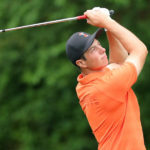 But the real deal starts Thursday, when the leaderboard begins to take shape and the best in the world make their move with the hopes of slipping on the green jacket come Sunday. Here are my top-20 fantasy picks for the week. Not playing his best golf of late, but a T-10 finish on a bum ankle in his Masters debut sets a high bar for Finau in his second go-round. 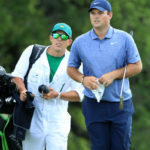 Defending champion enters Augusta on the ropes having shot 75-77-78 in his last three stroke play rounds, but Reed has always thrived in the underdog role. Maybe the most underrated consistent performer on Tour, Leishman was solo ninth in the 2018 Masters and has already racked up five top 10s with a victory this season. Hasn’t done anything since the win at Pebble Beach, but the three-time champion can get it around Augusta no matter where his swing is at to start the week. Game is in a good spot after a T-5 at the Players and T-3 at Bay Hill. Just needs to turn things around on the greens, where the putter has been uncharacteristically spotty of late. Fourth in strokes gained overall this season, making a lot of putts and should benefit from the generous fairways at Augusta. The 2013 champ hasn’t missed a Masters cut since 2009 and has five top 10s in 17 starts. He’s also playing some of his best golf in years and looks poised to make another run at the green jacket. He could miss the Masters cut every year for the rest of his life and Augusta would still define his career. Also playing pretty well coming off a T-4 at the Valspar Championship. Lot of folks are high on his chances this week after British Open and Bay Hill victories, but he’s never fared better than T-17 in seven prior Masters starts. Usually plays well here and was T-4 in 2017. With two wins already this season, 2019 might be his best remaining shot to bag that elusive first career major. Another veteran with a good chance to get over the major hump this week – Casey is coming off a Valspar Championship win and has been top-15 or better four years running at Augusta. Everything is in a better place than it was during last year’s T-32 in his Masters return. Another Sunday in contention around here would grab the world’s attention, and he’s capable with a little help from the putter. Came close last year with a solo fourth and everything looks sharp this season – six top 10s in 10 starts and second only to Rory McIlroy in strokes gained off the tee. Seemed to turn the corner a bit last week and we can’t emphasize enough how ridiculously successful the 25-year-old has been at Augusta – third or better in four-of-five starts and one green jacket in the closet. Three-time major winner has improved every year at Augusta. Flying under the radar this week after a quiet spring, but he’s already proved that doesn’t mean anything once the big events get rolling. Finished one-shot shy of a playoff last year, won recently in Phoenix and was T-2 at the Honda Classic. Another year of major potential on deck for Fowler. 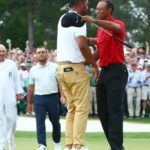 Has made a habit of playing with Masters legends Tiger Woods and Fred Couples early in the week at Augusta, and he soaks all that knowledge up. Last year’s T-17 finish was his best in three starts. Lost in all the talk of his Masters letdowns is the fact that he’s been able to put himself in contention every year, with five consecutive top-10 finishes. And he’s still the hottest player in the field coming off that Players Championship victory. 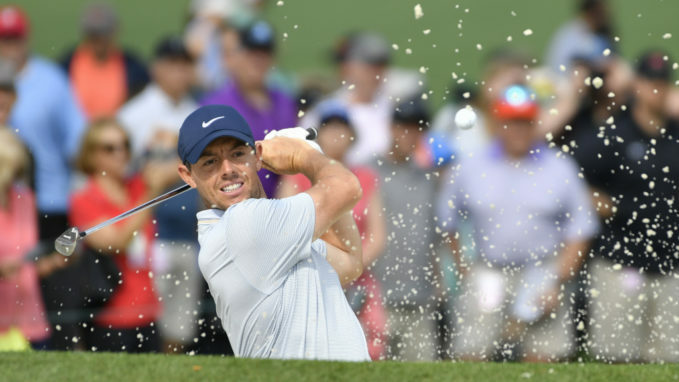 The Englishman has never missed a cut in 13 Masters starts and owns two runner-ups over the last four years, though one could argue his game is the best it’s ever been entering the 2019 edition. D.J. is the favorite in Vegas and with good reason – he enters the week not far removed from wins in Saudi Arabia and Mexico City and has been top-10 in his last three Masters starts.